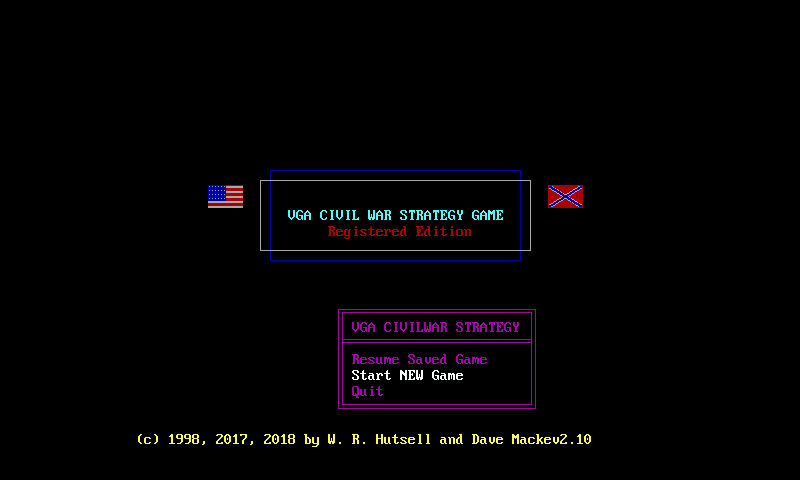 W.R. Hutsell's classic VGA Civil War Strategy Game, updated to run on Windows (and Mac and Linux, theoretically), by using QB64. Collaborators welcome! 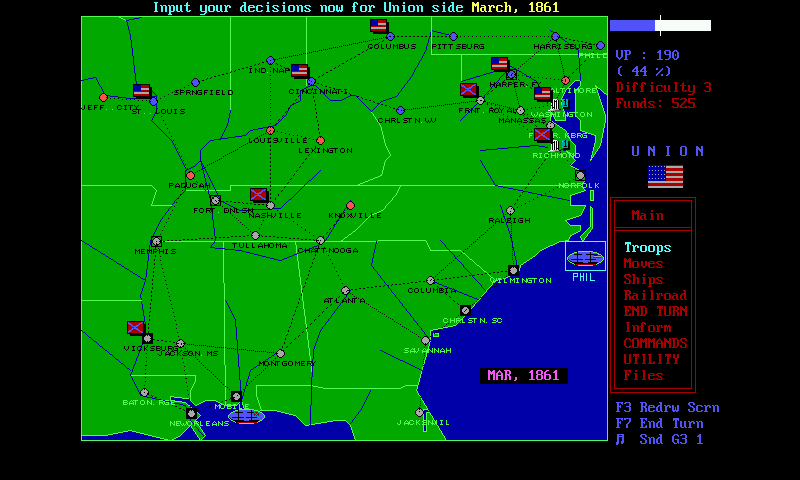 If you are interested in playing the updated Civil War Strategy Game or any of Mr. Hutsell's other games, we recommend visiting the official site where the games have been released for free and full documentation is available! Sources are in the PND.